If the thought of unmanned flying machines buzzing around in the sky freaks you out a little, brace yourself. According to an Australian startup called Flirtey, drones will soon be as common in the sky as airplanes are now. 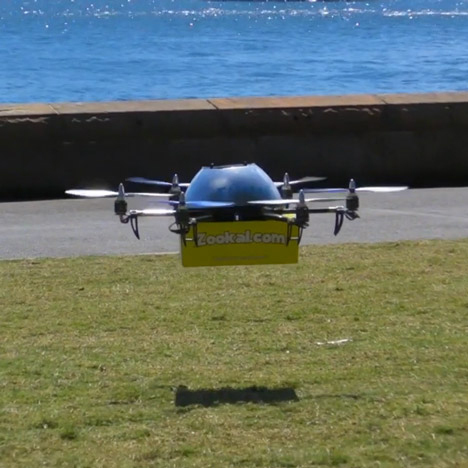 Flirtey has teamed up with book rental service Zookal to create the world’s first textbook-by-drone delivery system. Hexacopters (flying machines with six rotors) will fly the desired textbooks from their points of origin directly to the buyers’ smartphones. The benefits are obvious: by sending the books to the location of the smartphone instead of the user’s physical address, they can receive their orders faster and without the risk of missing a delivery. The cost of delivery will be significantly lower than overnight or same-day post, and the bottom line is that it’s wickedly awesome to have something delivered to you via flying drone. Don’t get too excited about using the service anytime soon if you live outside of Australia, though. 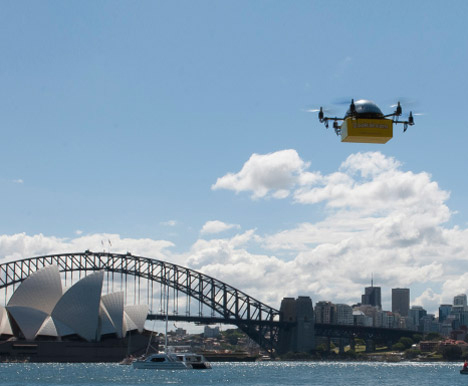 Oz was one of the first countries in the world to legalize commercial unmanned aerial vehicle flights, and the same legalization isn’t expected in the U.S. until at least 2015. See more in Robotics or under Technology. November, 2013.